This statistic shows which services Canadians accessed to stream audio and video in 2017, by language. 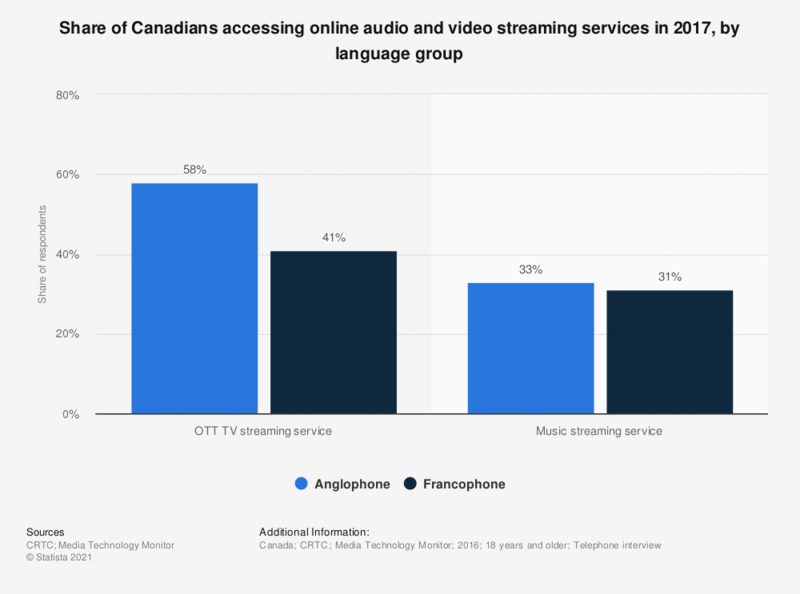 During the reported period 41 percent of Francophones and 58 percent of Anglophones accessed an OTT video streaming service. Statistics on "Streaming in Canada"